We know it’s hard to pack light when you are travelling, but you should always make room for safety essentials for your trip. 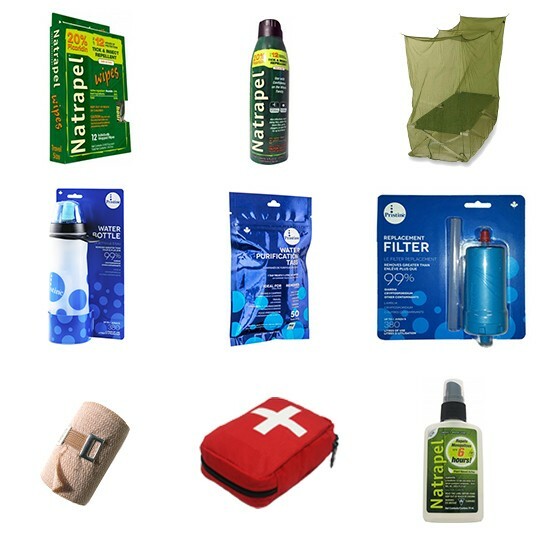 Let Nightingale GLOBAL VAX Travel Clinic in Cobourg help you decide what is necessary to pack for your travels. Whether it’s mosquito nets to drape over your hotel bed or ready-made travel packs for your tropical adventures, come to Nightingale GLOBAL VAX Travel Clinic for quality travel health products and knowledgeable consultation. In addition to offering a wide variety of travel health and safety products, the Nightingale GLOBAL VAX Travel Clinic team provides seasoned travel advice to help you lighten your suitcase and your travel worries. Book an appointment with us to receive personalized advice about your specific travel plans. If you have questions about the right products to bring for your trip, contact Nightingale GLOBAL VAX Travel Clinic in Cobourg. We’d love to help you.